This means contractors have fewer work opportunities and are losing out on revenue. Aside from working with big corporations like Lockheed Martin (LMT) and small businesses, the federal government has become reliant on private contractors to implement tasks. 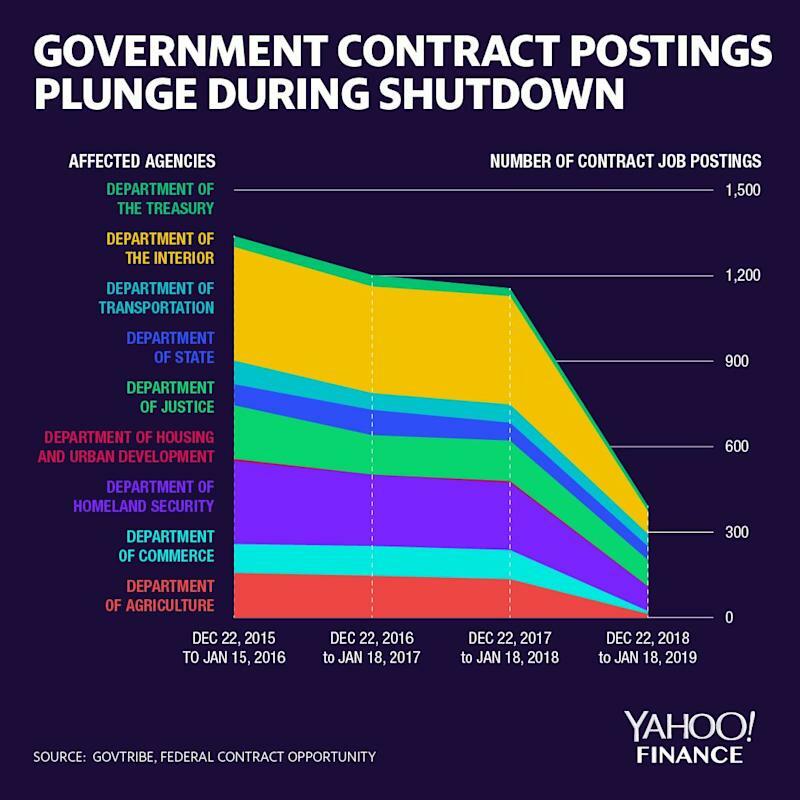 Paul Light, a professor at New York University, estimates there were 2.6 contract or grant employees for each federal employee as of 2015.